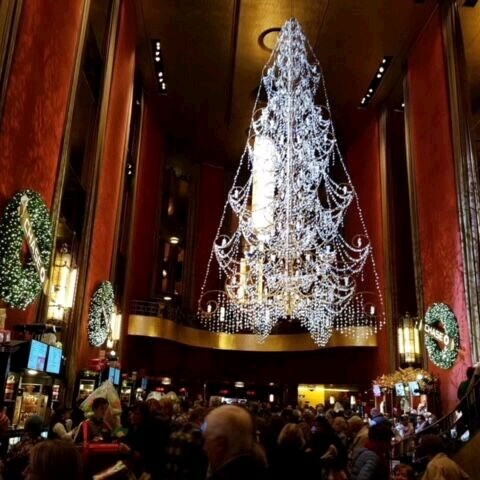 Spend 2 fabulous nights at the remarkable Bethlehem Sands Casino Resort with a side trip in to New York City to see the world famous Rockettes Christmas Show. 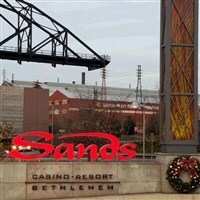 This morning we will point our "sleigh on wheels" east as we head to our home for the next two nights at the remarkable Bethlehem Sands Casino Resort in Bethlehem, PA. Founded by membors of the Moravian community in 1741, Bethlehem, PA has become known as "Christmas City USA". You will enjoy impeccable accommodations at this lovely resort with plenty of things to fill up your evening. There is gaming, dining, shopping, pampering, relaxing - the choice is yours. Guests of proper age will receive a $ 60 slot bonus per person to have fun with in the casino as you wish, along with a free buffet coupon for dinner tonight including various food stations and fresh carved meats - yummy ! In addition, our passengers are normally given a special coupon booklet for the attached Outlets at the Sands where you can enjoy Christmas shopping at an array of stores to fulfill your holiday shopping list. Or, just relax in your beautiful rooms. Whatever you choose, it will be a lovely and fun evening indeed. This morning we head further east in to New York City all decked out for Christmas as we attend a special show at Radio City Music Hall featuring those famous and high-kicking "Radio City Rockettes", live on stage. 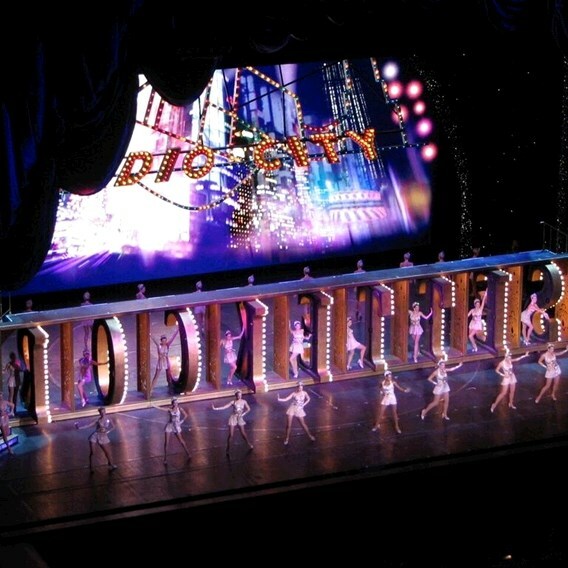 The rockettes have become an outstanding American Christmas tradition which everyone just loves and you can't beat this awesome New York City production - there's just nothing like it! After our New York City experience, we head back to our resort at Bethlehem to meet our special local guide as we embark on an old fashioned evening guided "Bethlehem-by-night" tour. This guided tour will take you on our motorcoach exploring the history and traditions of this historically named town with select with candles in select buildings around town. 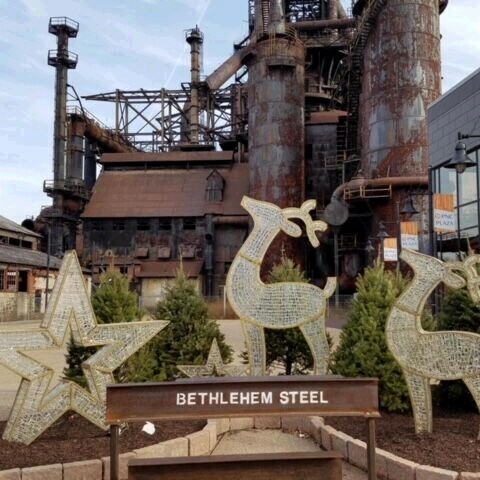 In addition, your narrated tour will highlight the Moravian roots of this small community including a look at early and current holiday traditions featuring the Star of Bethlehem atop South Mountain. Located just down the street from our hotel, the main Bethlehem holiday highlight is the gigantic "Christkindlmarkt", an arts and crafts market modeled after Europe's open-air holiday marketplace. Set under large heated tents, the Christkindlmarkt features close to 300 vendors and artisans combined, during its normal 5-week run each year. Recognized as one of the top holiday markets in the world. (yes, the world !) 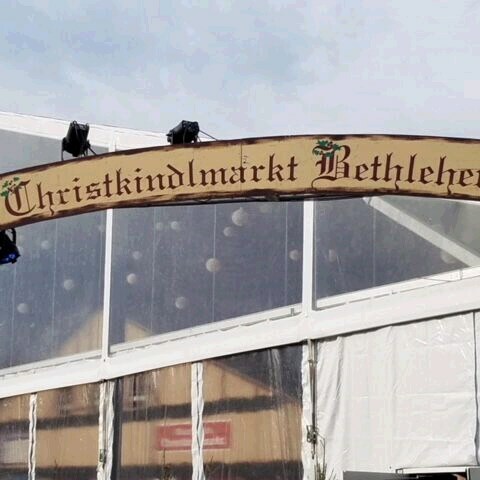 Bethlehem's Christkindlmark features aisles of exquisite, handmade works by the nation's finest artisans, traditional and contemporary holiday music, a wide variety of food from wonderful vendors with strudels, German roasted almonds, barbeque....and lots more! The event includes participants from many different states offering thousands and thousands of great gift ideas ranging from stained glass Moravian stars to handmade jewelry and handcrafted wooden Santas....and lots, lots more. You will have time to shop and have lunch on your own before we point our "sleigh on wheels" towards home this afternoon - what a wonderful, true Christmaas experience. Includes: Deluxe motorcoach transportation, accommodations for 2 nights at Bethlehem Sands Casino Resort, $60 slot bonus per person, 1 buffet dinner coupon per person, Radio City Rockettes Show in New York City, Christkindlmarkt, touring as described in itinerary.